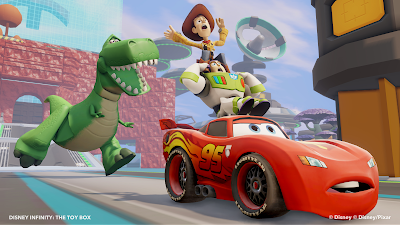 Since the North American release of the Disney Infinity on August 18, the team behind this exciting new game (Avalanche Software) can now celebrate. The game has recently crossed over a major milestone as they have sold more than one million Disney Infinity starter pack sets globally. With that incredible accomplishment, Disney Infinity has just released their sixth play set and it's actually the one that we are the most excited about - The Toy Story in Space Play Set. The main objective in this play set is to relocate the Pizza Planet aliens to a new world all while tackling fun obstacles and even...gulp...Zurg. 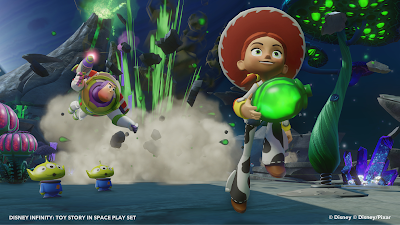 Players will be able to to unlock new Space Ranger gear in both the play set and Toy Box mode, such as hoverpacks, jetpacks, laser blasters, goo blasters and more! 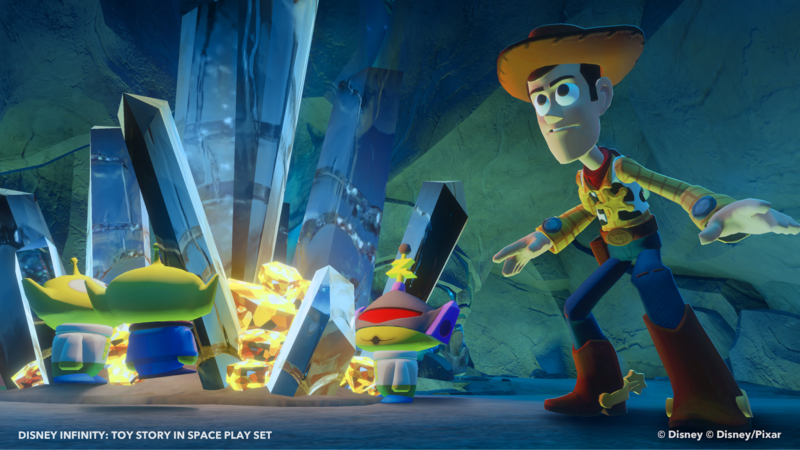 The play set features Buzz Lightyear, Jessie and Woody for gamers to use in the game - however, that does not mean that you won't see some of your favorite Toy Story characters throughout the game, as you'll notice from the screenshot below Rex is prominently featured in the Toy Box. For even more in-game views of the play set, be sure to check out the official play set trailer uploaded on the official Disney Infinity YouTube channel. We'll post our full review of the play set soon as well - stay tuned.